Your Holiness, His Holiness Patriarch Bartholomew! Your Holiness and Beatitude! Graces fellow hierarchs, honorable representatives of the Local Orthodox Churches! I cordially greet you on behalf of the Russian Orthodox Church, on behalf of Russian Orthodox believers, Ukraine, Belarus, Moldova, and other countries that make up the vast flock of the Moscow Patriarchate. Now ye are the body of Christ, and members in particular (1 Corinthians 12:27). We have received the priceless gift of unity from the Lord and Our Savior Jesus Christ. Preservation of this gift is one of our main objective, a direct commandment of Savior (John 17:21). Let us not confuse the fact that the views of the Sisters of the Churches on the convening of the Holy and Great Council was divided. According to St. Paul, “For there must be also heresies among you, that they which are approved may be made manifest among you.” (1 Corinthians 11:19). During the preparation of such disagreements to the Council, they fully showed themselves, but we should not allow them to weaken the unity of the God-commanded, escalate it into an interchurch conflict, and to make division and confusion appear among us. We remain united Orthodox family and together are responsible for the fate of Holy Orthodoxy. I am deeply convinced that the Church and those who have decided to come to Crete, and those who refused to come, made their decisions according to conscience, but we must respect their positions. The Russian Orthodox Church has always had the belief that the voice of every local church: small or great, old or new, cannot be ignored. The lack of agreement on the convening of the Council of the Church of Antioch means that the common Orthodox consensus was reached. We cannot ignore the voice of the Georgian, Serbian, and Bulgarian Churches that insisted on postponing the Council to the later date. I believe that meeting in Crete with goodwill could be an important step to overcome any disagreements. 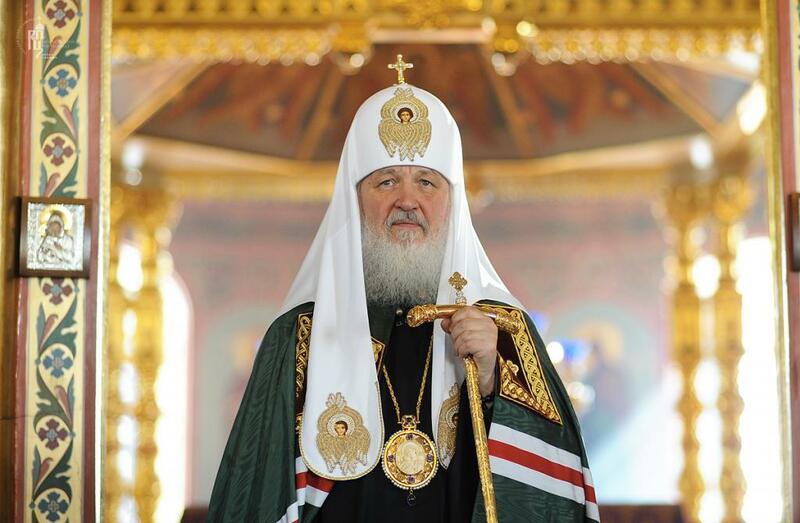 It can contribute to the preparation for the Holy and Great Council, which will unite all, without exception, the local autocephalous Church will be a visible reflection of the unity of the Holy Orthodox Church of Christ, which is praying for and expecting our blessed predecessors. We assure you that our prayers will be with you in the days of your upcoming works.